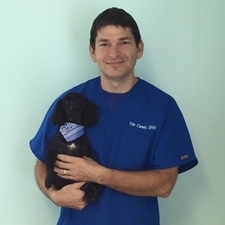 Dr. Causey, a 1996 graduate of The University of Georgia, has been practicing veterinary medicine for over 20 years. He first graduated college from The University of the South in Sewanee, Tennessee in 1992 and then attended the college of Veterinary Medicine at The University of Georgia. He grew up on a farm in the low-country of South Carolina. Having always had a love for animals, veterinary medicine was the obvious career choice. Deciding to open a practice on his own, Dr. Causey purchased Lincolnton Animal Hospital in July 2007. He enjoys healing sick or injured patients and being there to comfort clients in their time of need. Dr. Causey's hobbies include hiking on trails and relaxing at home. He, his wife Jessica, and their daughter Reese, have 2 dogs, Cole and Cody, and 2 cats, Flash and Simba. Dr. Causey's experienced and caring hands makes him a great leader for our team. Pictured left with his Hava-poo named Cole. He is a big sweetheart who never meets a stranger. He enjoys playing in the yard and snuggling on the couch with Dr. Causey's daughter Reese. 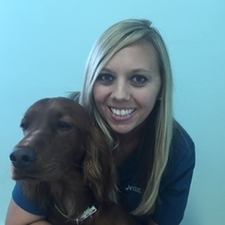 Jennifer, our Veterinary Technician/Receptionist, has been with Lincolnton Animal Hospital since 2006. 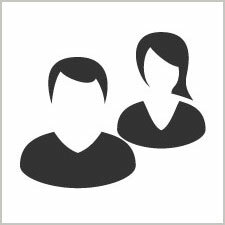 She helped the patients and clients transition when Dr. Causey purchased the practice in July 2007. While in college for nursing, she decided to pursue her love of animals and became a nurse for dogs and cats. Jennifer has a high level of compassion and cares deeply for the clients and patients every day. Jennifer enjoys traveling to the beach and visiting family as often as she can. Jennifer has a daughter, Savannah, and an Irish Setter named Izzie. Jennifer is a dedicated and vital member of our team. Pictured left with her loving girl, an Irish Setter named Izzie. She enjoys playing with her "sibling" Savannah and has the prettiest point when she spots a bird. 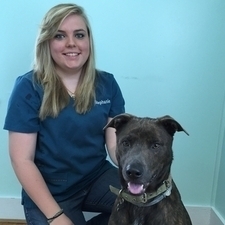 Stephanie, a Veterinary Technician, has been with Lincolnton Animal Hospital since 2012. She is currently a student at Augusta Technical College and is pursuing a nursing degree. Stephanie loves to assist in surgery and ultra sound examinations. Stephanie enjoys traveling and spending time with her family. Stephanie and her husband Jacob, have 3 dogs, Chevy, T.G., Cujo and a cat named Crowley. Stephanie thrives on the chance to learn and experience veterinary care hands-on. Stephanie is a hard-working and essential member of our team. Pictured left with her sweet boy, a pit bull mix named Chevy. He enjoys the great outdoors, like hunting squirrels and swimming in the lake. Holly, a Veterinary Technician, has been with Lincolnton Animal Hospital since early 2016. Holly and her family moved to Lincolnton from Connecticut in 2016. She is very compassionate and loves taking care of all our patients. Holly enjoys traveling, horseback riding, hiking, reading and shopping. Holly has 3 children, Jasmine, Anthony, and Onna. Holly and her husband Michael, have a dog named Bell and two horses Suzie and Ryder. Holly is highly motivated and is an important member of our team. Pictured left with one of her many pets, a beagle named Bell. She enjoys following Holly's daughter Onna around, chasing rabbits, and begging for treat. 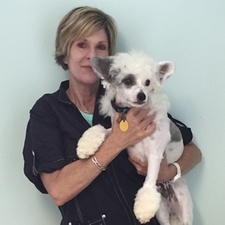 Graduating from grooming school in Orlando, Florida, Sally has been a professional groomer for 13 years. 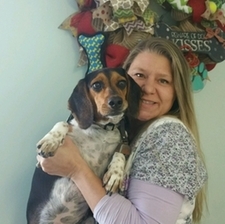 Sally joined the Lincolnton Animal Hospital team in 2013 and has been making our patients simply beautiful ever since. She enjoys crocheting, exercising and long walks along the lake by her home. Married to her husband, Randy, with 2 children and 2 grandchildren. Sally is excited to pursue her passion and love of animals with the wonderful patients that come into the office. Pictured left with her spoiled pup, Rolex, he is a Powder-Puff Chinese Crested. Rolex loves to come to work with his mommy and play with his best friend Izzie.